I had to make a fantasy race, environment, then a finished illustration for my Fantasy Illustration class. 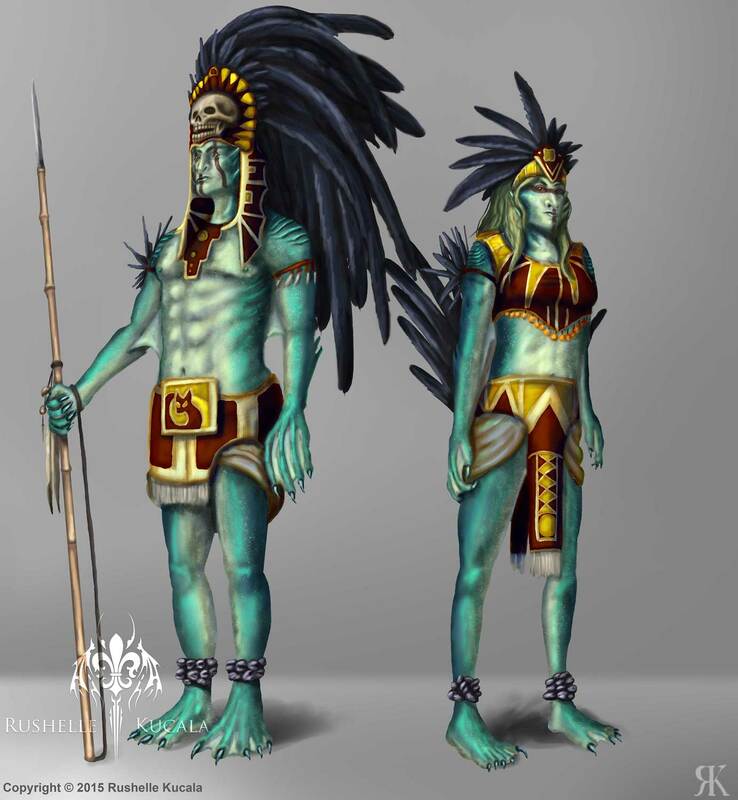 So here are the characters, a water nymph race. I really love how their skin turned out, and the gills on their deltoids.